Is it possible to turn love into a scientific experiment? Chloe is going to try. A fun short story – Unconventional and scientific, Lady Chloe Albright never expects to fall in love, let alone marry. But when the man she’s secretly loved for years, Lord Christopher Fellingham, Earl of Twyford, needs a helping hand she impetuously seizes the chance of a pretend engagement. 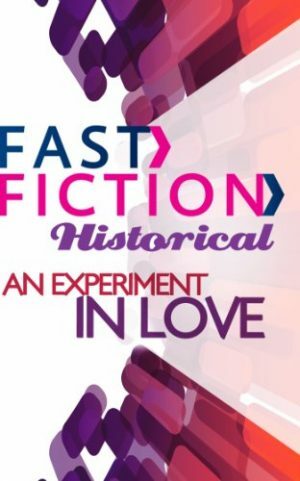 But should she now put her research skills to good use and try some experiments in love? At turns kissed, flirted with and argued at, Kit doesn’t know whether he is more amused, annoyed or – dare he admit it? – aroused by Chloe’s unexpected attention. Suddenly he’s wishing that their pretend betrothal was a real one. What on earth have I done? Chloe thought. Kit Fellingham was staring at her as if she had escaped from Bedlam. ‘Who are you?’ he demanded with less than gentlemanly finesse. At least he was not running. Yet. Chloe hated that word. If a woman had a glimmering of intelligence and opinions of her own she was labelled a bluestocking. Which came with the subtext, eccentric, unfeminine and likely to run off to Wales to live with another woman in a man-hating household. ‘Plutonist or Neptunist?’ he demanded, startling Chloe. Not even her own family remembered that much information. A sensible answer. Chloe added intellectual humility to the other good points Kit possessed, which included being the nicest man she knew after her own brother. She hoped he hadn’t changed, it would be dreadful to propose to a man she could not like, even if it was all a ruse. Kit drew in a deep breath through his admirably straight nose which caused his equally admirable chest to expand while he narrowed his penetrating blue eyes at her and swept the dark blond hair from his forehead with one long-fingered hand. Aah… Chloe told herself that it was a perfectly rational female response to feel shaken, and stirred, by the display of so much masculinity.